The experience of our much-loved Horseback program in a day camp format! 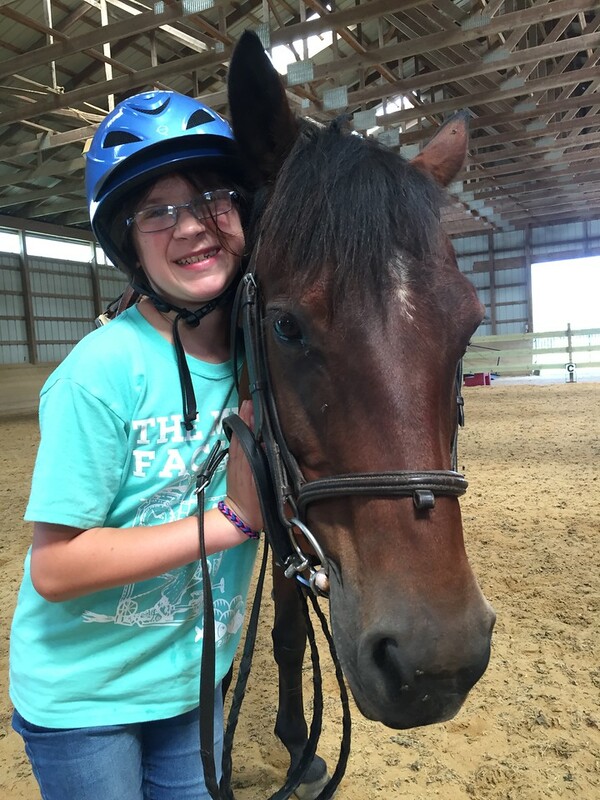 Campers will travel daily to Worthmore Equestrian Center, where professional instructors give riding lessons and teach campers how to properly care for the horses. In the afternoons, campers will experience a mix of traditional camp activities like swimming and canoeing. Campers may also participate in an optional overnight stay from Thursday to Friday at no additional cost! Space is limited. Drop off is 8:00 – 8:15 am, as campers will depart for the stables no later than 8:30 am. Pick up is 4:30 - 5:00 pm, Monday - Friday. Extended hours are available: Early Care is 7 - 8 am, Monday - Friday and After Care is 5 - 6 pm, Monday - Thursday. * All campers must be picked up by 3:00 pm on Friday, August 9, in order to allow staff to prepare for close of camp activities.